After seeing the way Funko executes the Mysterio Pop with face underneath...I think Leota would make a cool addition to the Mansion Pops! 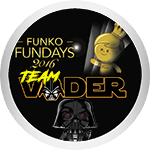 Brian@Funko wrote: There is going to be a lot of happy people in this thread. OMG! Yes!! Thank you brian!!! d00dz wrote: 2019 marks the 50th anniversary of BOTH SDCC and Haunted Mansion. I'm hoping it will be a D23 Expo versus SDCC, haha. I love all these ideas! Can’t wait for more Haunted Mansion! Would really love to see another Hatbox Ghost but with his head actually in the box! Love this so much! So excited for D23 this year and it totally makes sense for some awesome Haunted Mansion exclusives! There can never be enough Haunted Mansion pops! Brian blowing up the internet! BOOM! Also...I would love a set of Mystery Minis based on all the characters from the Haunted Mansion. Tons of fantastic options...lots of variant potential....I’d buy a case sight unseen! WOW! Got me all excited now! If it turns out d23, gulp. I hate to be a negative nelly but as someone who’s been burned by the dreaded d23 exclusive store line, I have to warn people: good luck. I am not trying to dissuade anyone. If you wish to brave that line, it’s your choice. I foolishly braved it two years ago for these Once Upon a Time dolls. Stood in it for 5 hours - NO I’m not exaggerating. And did I get my dolls? NO. As I learned after 5 hours, the sorcerers had long cleaned them out earlier that morning. I would be so happy if it was D23 expo instead of SDCC. I'd rather have SDCC over D23 because sorcerers clean them up before everyone else. In SDCC I would at least have a chance through the lottery. ghostrye wrote: Also...I would love a set of Mystery Minis based on all the characters from the Haunted Mansion. Tons of fantastic options...lots of variant potential....I’d buy a case sight unseen! Not me. SDCC lotteries hate me and Ive never made it into the Funko line. In 2017 I went to my first D23 and was able to get all exclusives I wanted including WDI pins and DS Dolls. You do have to camp out though and work with people. My husband went to MOG and me and my daughter went to the DS. I agree - but it also depends on how many they make. Last D23 they made sure the strictly enforce the 1 per person limit and I recall TONS of the Dorbz being available in the store. Tovarnico wrote: Love this so much! So excited for D23 this year and it totally makes sense for some awesome Haunted Mansion exclusives! Agreed. It's more dependent on the amount of stock that they produce since leftovers will be sold online anyways. Right - no matter which convention it is released at it depends more on the stock than anything. Even if it is sold at SDCC if it is limited 1000 and you happen to get a late time slot, then you still won't be able to get it most likely. Yeah...I’m with you. For some reason I have never won the sdcc lottery and that’s while giving everyday availability and choosing all the slots available. That’s why I always think it’s maybe time for Funko to get out of the convention center and open a pop up shop in the gaslamp and sell 24 hours a day for the duration of the con. 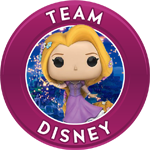 I hope they’re going to go up on Disney’s and Funko-shops website. Cant wait for the glamshots of what they are going to be. Excited!! 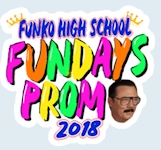 Hoping they make them available at SDCC! I haven’t had much luck in the past getting in there either. The line is always wrapped around the block! It I would be very curious if they could get a big enough space and sell their products all weekend long. I prefer waiting in a line , even if it's overnight, instead of the lottery system. Why does everyone want them to be exclusives? We should all be wishing they are commons. . I'm hoping I don't have to shell out more than $200 for the set if they are Parks exclusives, but..anywhere else, and they would be more, I'm sure. +10000 to this. D23 is the worst unless you have ADA, early access via Sorceror pass or are first in every line.